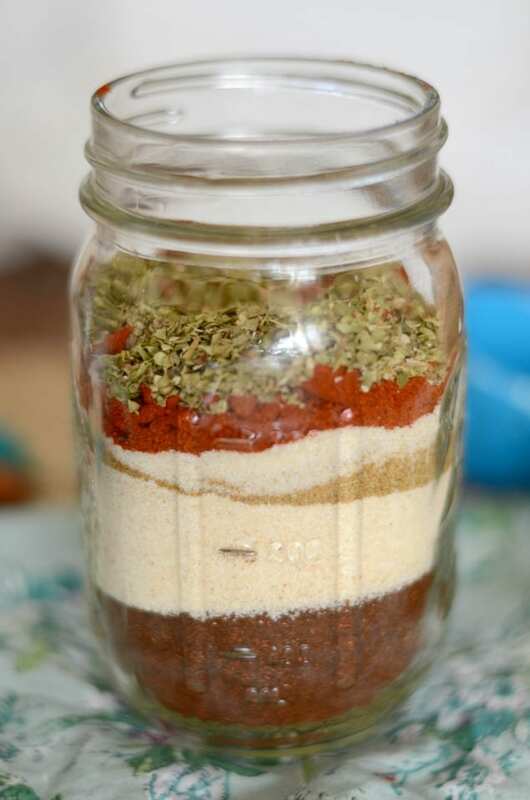 Whip up this homemade taco seasoning mix and ditch the packet! Hey there! I have to make a confession – I am a taco seasoning packet lover. I mean, it’s SO EASY. You just toss it in with your burger and boom. Instant tacos. WHAT could be easier?! I bet you already guessed, but homemade taco seasoning is just as, if not easier, then the packet. I know. Coming from a taco seasoning packet lover I get it. (I should say FORMER lover.) But trust me, this homemade taco seasoning will change.your.life. Ok, that’s a little dramatic even for me. But it is pretty neat to have this taco seasoning ready to go whenever you need it. The recipe makes enough til almost fill a regular 16 ounce mason jar. Then add a herb shaker on top and you are good to go! It’s also fun to layer the ingredients (like in the first picture) and then shake, shake, shake it up! It’s like a mini fiesta in a mason jar. 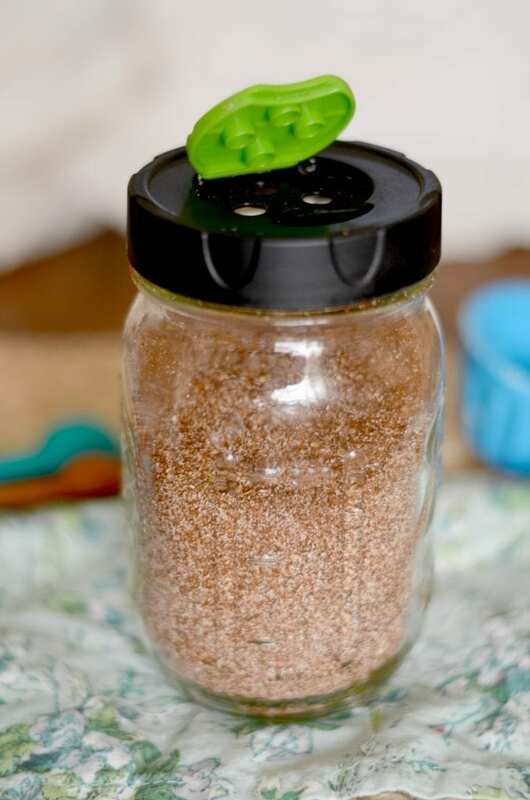 This homemade taco seasoning is also Whole 30 compliant. Yup, that’s right! It’s safe to use when you are doing the Whole30. 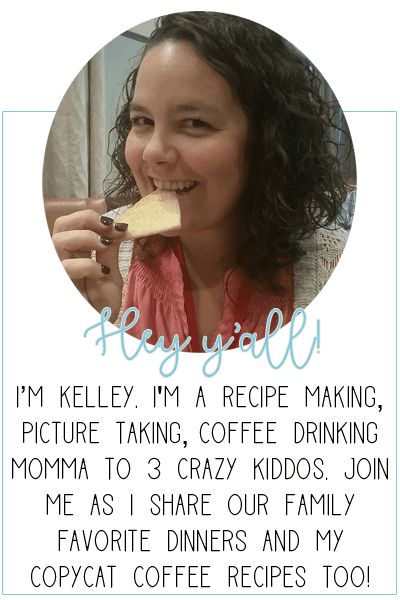 I use it for my Whole 30 taco boats but its great for any and all Whole 30 recipes. This recipe is an email exclusive for my newsletter readers. Don’t worry! You can join in and get this recipe plus others all year long! Double ole! Enter your email below and I will send the recipe right over. HURRY! Taco Tuesday is almost here! This post contains affiliate links only for products I recommend!